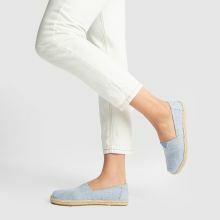 Arriving with sweet new season influence, this Alpargata Rope Sole arrives fresh from TOMS. 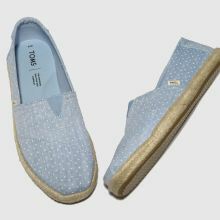 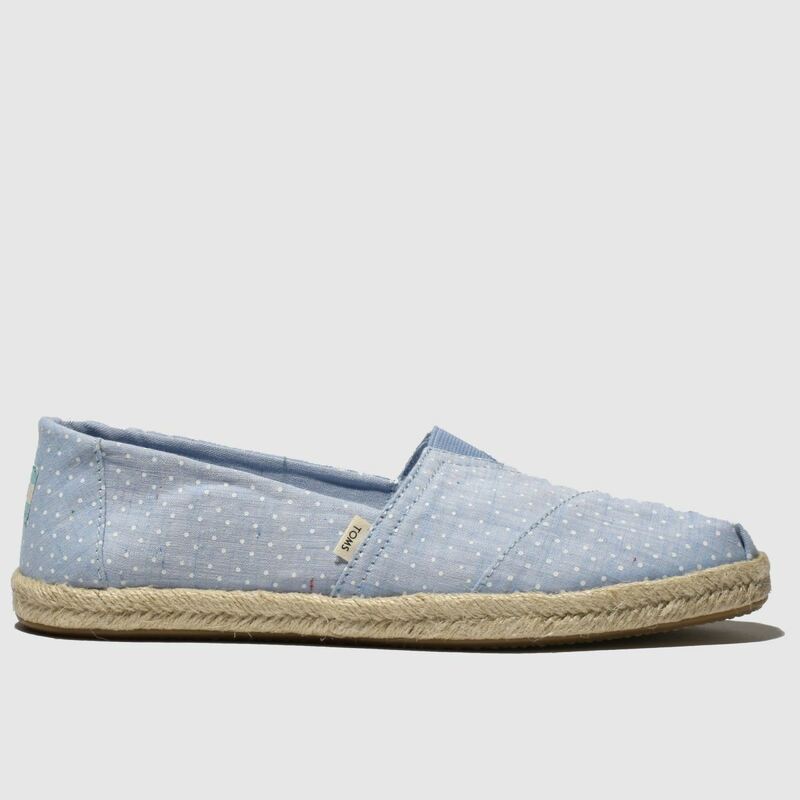 Perfect for everyday wear, the blue fabric slip-on is complete with polka dot details while an elastic insert offers easy wear. 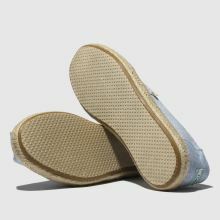 A rope midsole offers summer vibes.